Do you have a scrap or junk car in Melbourne, Australia? Hazara Car Removals provides top rated Cash for Car Removal service where we pay top on-spot cash for old scrap cars in our around the city. We have a professional team of Car Removal Experts who are always working hard to provide best service in the region. All scrap and junk cars can now get you handsome amount of on-spot cash in Melbourne and you can get them removed for free at the same time. Hazara Car Removals is a proud Cash for Scrap Car Removal service provider in the Melbourne region. We pride ourselves on providing most satisfactory services in the region. Our services are tailored in a way that our clients don’t have to take or move their cars anywhere at all. We offer client location based on-spot vehicle checkup and verification service where we validate all documents including identification, driver’s license, vehicle registration etc. on the spot. 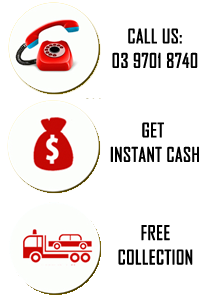 In or around the Melbourne region, we also provide free towing service where we make a cash offer to our clients. Once the offer is accepted, we payout the decided cash on the spot and remove their old junk and scrap cars away in no time at all. We leave our clients happy with a pocket full of cash and a freed up parking space. If you have a Scrap car that has no hopes of running and it only taking up space in your garage, then get it removed and earn cash! It’s easy to forget the useless car sitting in your garage or driveway, especially when you barely use it. Sure, it’s sitting there and not really causing any harm, but you could be sitting on some free cash. Contact Hazara car removals on 0409 145 434 and get that car removed today. Not only will they come and remove the car for you, but you can also get cash on the spot. Getting cash has never been this easy. The car will be used for scrap parts or recycled down for reuse. And, you will get free, easy cash just for getting rid of your car. First, make sure you remove everything from the car, such as license plates and any other personal items you have in the car. If the car is in someone else’s name, then make sure the title owner gives permission to you getting rid of the car. Once that is all taken care of, Call 0409 145 434 where you can sell scrap cars. Make an appointment to have the car looked at and accessed for its value. On the day of the appointment, a representative of Hazara scrap car collection will come and have a look at the car. Our professional staff will also inspect the car to see how much the car is worth. 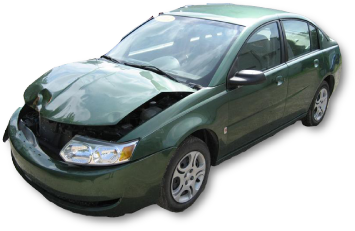 Depending on the condition of the car, you can sell the scrap car for a significant amount of money. Once the car is appraised, you then get your cash. Our company will pay on the spot, while others will require you to visit their office. We offer free collection to tow away the car for you so you won’t have to worry about transporting it. The car doesn’t have to be running or even functioning to get a good amount of cash. All cars, no matter the condition. Getting cash for scrap car removal is that easy. It is greatly convenient if you just want to get rid of the car. You won’t have to pay for it to get towed, and you can make some cash off the car. The Hazara car removal will take care of removing the vehicle and disposing of it. In addition, the location the car is in doesn’t matter—any car can be removed.